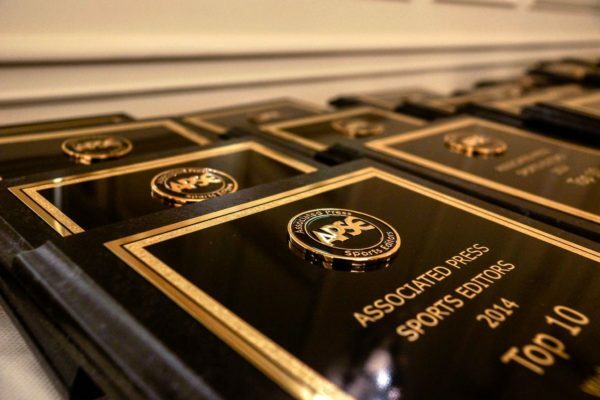 Ross Dellenger of The Advocate in Baton Rouge, La., won first place in the Associated Press Sports Editors 2017 contest in beat writing for the 75,000-175,000 circulation category. Dellenger’s winning entries were for his coverage of LSU football. He will be presented a first-place plaque at the 2018 APSE banquet. The banquet and awards dinner concludes the APSE Summer Conference June 17-20 at the Marriott Hotel Nashville/Vanderbilt University. The second- through 10th-place winners will receive frameable certificates. Second place went to Zach Buchanan of The Cincinnati Enquirer for his coverage of the Cincinnati Reds. Michael Cohen of the Milwaukee Journal Sentinel placed third for his coverage of the Green Bay Packers. A beat writing entry consists of five stories: at least one breaking news story, one event or game coverage, one enterprise piece and two wild-card entries. Bylsma looking ahead but how time does he have left?